They may have a scant acquaintance with truth and ensnare you in dodgy contracts, but like it or not, we need estate agents. Here's why. In the opinion of the public, they sulk at the bottom, with politicians, journalists and bankers, all deserving each other. They clutter up the high street, have a scant acquaintance with truth, charge blood-boiling prices for doing little and ensnare you in dodgy contracts. 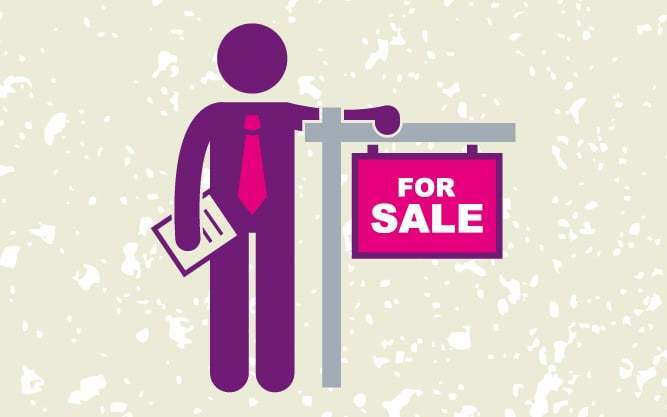 At the HomeOwners Alliance, we have long campaigned for reform of High Street estate agents, urging them to have fair contracts and transparent fees, and more recently we have equipped homebuyers to make estate agents compete on service and performance through our EstateAgent4Me tool. And when online agents started making traction we have shown consumers what they can do in the hope of shaking up the market, providing people with more options and injecting a bit of real competition. But we have to admit, there would only one thing worse than a world awash with high street estate agents. And that is a world without any of them. If they went, we would sorely miss them. If you are new to an area, they can give you the local inside knowledge – which is the right side of the street in the right neighbourhood for people like you. If you like browsing the local properties, you can look through their windows. If you’re keen on the area, you can register with local estate agents and get them to give you a call to tip you off about properties before they come onto the market. If you are a first time seller, they can hold your hand to take the stress out of the process. If you want to sell your house without everyone knowing, they can put it in for a discreet sale, matching it with those they know are looking in the area. They are the only ones who can cause a local buying frenzy by having an open house. For all these reasons, high street estate agents won’t disappear. But the inexorable march of the online agents will shake up the market, gobbling up market share. The high street estate agents that survive – and thrive – won’t be the ones who continue their old shady ways, but the ones who adapt to the new competition by being more focussed on the customer, and more flexible. They can act perhaps not just for sellers, but also as buyers agents, helping both sides of the exchange, as happens in other countries. We’re not suggesting an agent could work for both the buyer and seller in the same chain, but rather sometimes acting for the buyer, sometimes for the seller. They could perhaps pitch themselves as independent property experts, the solution to the homeowners problems, rather than as they all too often are at the moment, the problem itself. Everyone would win – the buyer, the seller, the estate agency business. Since our biggest cause of membership is disputes with estate agents, the HomeOwners Alliance could be the only ones to lose. But our loss would be your gain. Have you direct experience if using Property Ombudsman and ot NFoPP which acts as regulator monitor for NAEA. I have and my advice is DON’T. If you are interested I can give you information which explains why I think so. If anyone has a viable case I guess that the best route is via Small Claims court and the information which you give on the number and size of the awards given to clients by both organisation is a good indication of why I believe as I do about avoiding them. Let me know if you are interested. Please note,I am NOT soliciting you to take up any case on my behalf. To me quasi- self regulation of Estate Agents is a joke and provides a veneer of fairness as a smoke screen to Estate Agents’ self protection organisations. I’m with you Martin. It’s a huge task but the idea has merit. We started our Audio podcast, Needle & Haystack with that very aim. There’s much more protection nowadays for consumers like the CPR regs 2008 and the consumer redress act 2007; furthermore, the national association of estate agents have a strict code of conduct for all licensed agents. BTW, many online agencies are will have to increase their costs to break even, or they won’t survive. 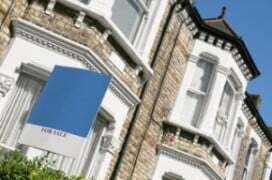 Its good to see someone is trying to clean up Estate Agency. I have been in business for 4 years giving people what I thought is what they want, fair easy to read contracts low fees and lots of free add-ons. Even a one to one service with a Chartered Surveyor. Unfortunately the general public seem to expect to be ripped off and go to the old school agents in the town where they get exactly what they deserve. Can we start the Estate Agency Alliance promoting the good guys?